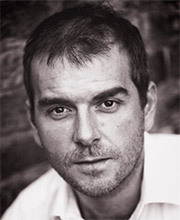 Giles Fagan trained at LAMDA. Since then he has worked extensively in theatre, television and radio. In 1998 he won the Carleton Hobbs award. Theatre credits include Don Juan and Pericles at the Lyric Hammersmith, Show of Strength at the Tobacco Factory and Hamlet and Twelfth Night at the RSC. Television work includes Casualty and Tough Love.